When kids go missing, one of the most effective ways of tracking them is with trained dogs. Sacramento’s Brenna Scott, a volunteer member of the dog-sleuth brigade, opens this debut mystery by finding and saving little Zoe—though she loses her canine, Brie, to a fast-rushing river. 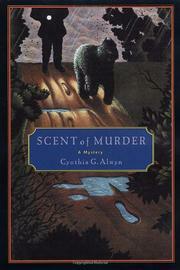 Grieving but game, Brenna and her other canine rescuer, Feather, lead would-be tracking dogs through puppy-training sessions, but are all too soon rushed in to save other youngsters who have been abducted by “Gideon,” a demon who thinks of his frightful activity as a game, and challenges Brenna to play it with him by leaving clues to the children’s whereabouts on her e-mail. Hopscotching the country, Brenna and Feather, along with a slew of other handlers and their dogs, must deal with Gideon’s cryptic messages and the false trails he sets for them. Fighting exhaustion and bad terrain, and racing against playfully sadistic time limitations set by Gideon (find the child in this many hours or the tyke will die), Brenna eventually confronts the miscreant, with an utterly predictable victor. if the intended series is to survive and thrive.